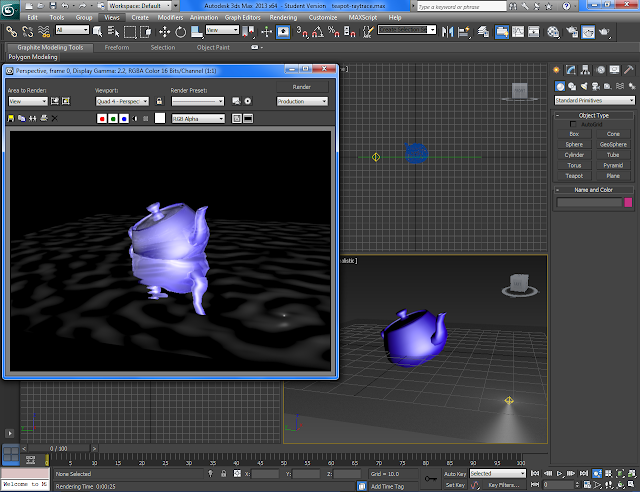 Some experimentation with a Tea Pot in 3ds max, using raytracing. I've been experimenting with reflection and refraction giving to give the impression the tea pot is on water. I also experimented with very basic lighting. I'm happy with the outcome also. Looking into John Whitney's Animation "Catalog"
Currently we are doing a unit in college on 'The History of Animation'. We are looking at some of John Whitney's "Catalog" work from 1961. I was most interested about the 'waves' in his Catalog so I decided to try and interoperate them in Photoshop to add into my Powerpoint on 'The History of Animation'. 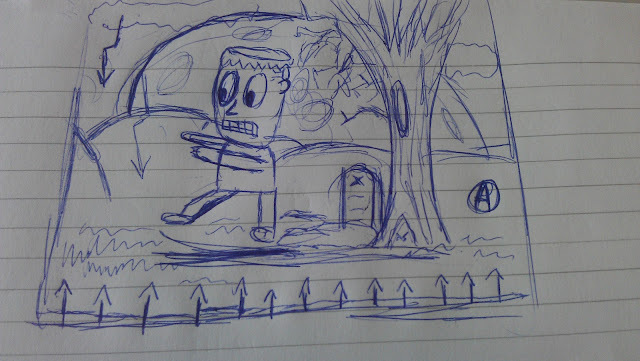 Here is a quick Halloween Doodle that I made in some of my spare time. I'll clean it up on sketch paper then I think I will Illustrate it in Potoshop, Flash or Illustrator before Halloween.